A new counselling service made up of Sunderland University graduates has launched in the area. Breakfree Counselling Services – based at the North East Business and Innovation Centre – has opened its doors to everyone in the North East who needs emotional support. 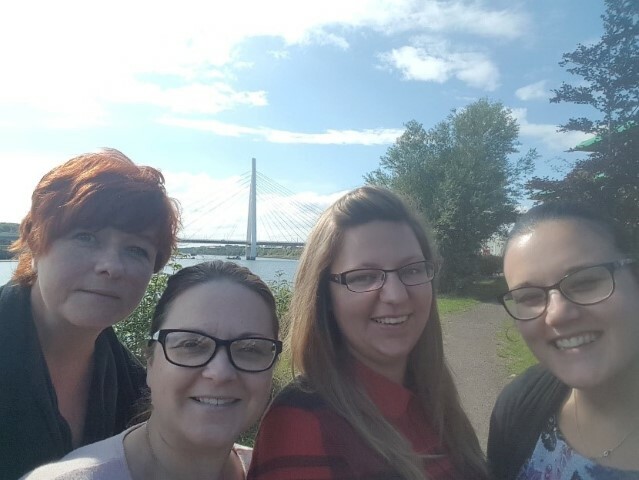 Tracy Fearon, spokesperson for Breakfree, said: “We opened our doors on the same day as the Northern Spire Bridge – this is symbolic to Breakfree Counselling, as we believe that therapy to cope with emotions is the bridge between mind and body”. Breakfree provides counselling and psychotherapy, with diverse integrated therapeutic approaches, including cognitive and creative therapies, ensuring that therapy is tailored to the individual, couple, group or organisation. Breakfree also offer short, medium and long-term counselling and therapy sessions. All of their counsellors are from the North East and have a passion to raise awareness about mental health, and the effects it can have on individuals, groups and businesses. And the business was created by a group of four friends who met while studying and are all qualified counsellors and psychotherapists. Driven to provide a prompt and affordable service to help everyone in their time of emotional need, Breakfree’s aim is to combat this problem by offering access to their services every day from 7 a.m. to 11 p.m.
For more information, please call 0191 516 6080. Thank you to the North East Business and Innovation Centre for all their support in helping Breakfree begin to make a positive difference in Mental Health. The acute lack of prompt Counselling and emotional support is escalating at an accelerated speed. Breakfree's aim is to offer support whenever you need us, you will not be ignored, you will not be judged, we will listen, we will help. We would highly recommend North East BIC for all your business needs.